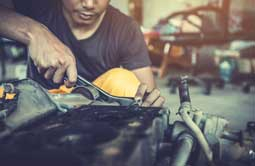 Brown’s Quality Automotive Services has been providing Clark County and Vancouver WA with quality domestic and foreign car repair services since 1999. We built our outstanding reputation by providing the best quality foreign and domestic automotive service and repairs in the Vancouver area. We stand by our work, producing rock-solid results that we guarantee in writing! We have built an auto mechanic shop on honesty, trust, and customer satisfaction, and we’re not satisfied unless all three are accomplished. When you come to Brown’s Quality Automotive Service, you’ll get top notch service and repairs, at an affordable price. 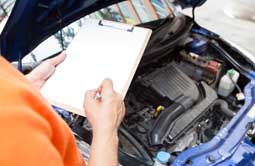 We offer Free Estimates on Auto Repair issues. Give us a call today, and experience the Brown’s Quality Automotive Services difference. When you come to Brown’s Quality Automotive Service, you’ll get top notch service and repairs, at an affordable price. We’ve a Foreign and Domestic Automotive Repair Shop in the Vancouver WA area since 1999. Come see the Brown’s Quality difference! Brown’s Quality Automotive Service is built on years of experience and a philosophy of business ethics that we live by every day. We provide honest, affordable, and quality domestic auto repairs, and our customer’s are always #1! At Brown’s Quality Automotive Service, we’ve been a Foreign Auto Mechanic Shop for the Vancouver WA area since 1999. Everything we do is backed by a rock-solid service guarantee–delivered in writing and sealed with quality! 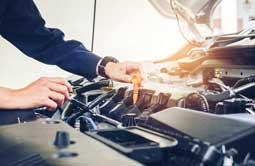 Even for mechanically-inclined car buyers, there’s simply no way to verify the true condition of the vehicle without a professional pre-purchase auto inspection. We offer pre-purchase inspections starting at just $75.00. Brown’s Quality Automotive is ASE Certified to work on every major manufacturer while maintaining your vehicles factory warranty. We offer 30K, 60K, & 90K scheduled services too. Failed Emissions Test? 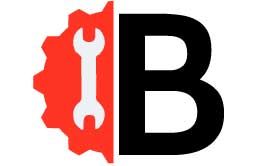 Brown’s Quality Automotive is an Authorized WA State Emissions Repair Shop! 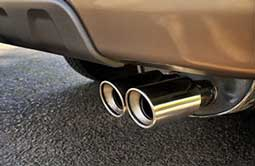 Read more about our Emissions Repair Services. Brown’s Quality Automotive Services in Vancouver, Washington offers monthly specials and Auto Repair Coupons. See our current coupons and specials by clicking below. 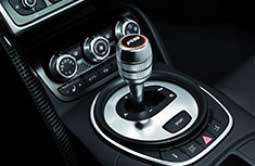 Here at Brown’s Quality Automotive Services, we do clutch replacements on both foreign and domestic vehicles. Our reputation is built on our knowledge, our honesty, and our customers’ trust. Call today for quality automotive repair! At Brown’s Quality Automotive Services, we offer free brake inspections, with a free estimate on total repair cost! 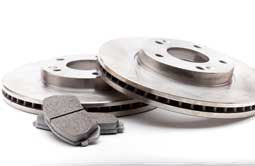 We perform brake repairs and replacements on both foreign and domestic vehicles. At Brown’s Quality Automotive, customers come to us for our service guarantee, our quality work, and our friendly service–but they stay with us because of all the little things we do. Whether it’s diagnosing a domestic car issue that no one else could figure out, working on your classic car, or finally getting your brakes done right, Brown’s Quality Automotive Service is here for you. We operate an auto mechanic shop that’s honest, trustworthy, quality, and caring. Come see the difference!